2m2/hour for color printing with high printing resolution. 1.5m2/hour for color printing with high printing resolution. 1. Direct to garment printing, also known as DTG printing, digital direct to garment printing, digital apparel printing, and inkjet to garment printing, is a process of printing on textiles and garments using specialized or modified inkjet technology. 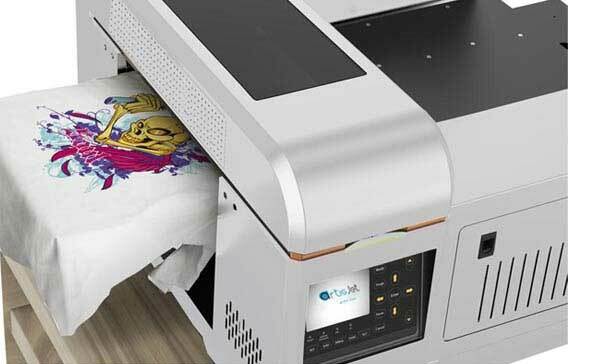 The two key requirements of a DTG printer are a transport mechanism for the garment and specialty inks (inkjet textile inks) that are applied to the textile directly and are absorbed by the fibers. 2. Brotherjet Direct to garmant printers can printed on any garment media.like t-shirts, caps, siws shirt, Sweatshirt, Fashion collection, Paradigm Shirt, Personalized footwear, Jeans, Non-woven bags and more. 3. The Brotherjet Dtg printers used water based garment inks who are 100% non-hazardous, toxin-free and adhere to the strictest human health and environmental standards. and have excellent color fastness, high elasticity and non-cracking attributes. Britherjet Dtg printer much convenience for printing, garment loading, and easy ink system maintenance. 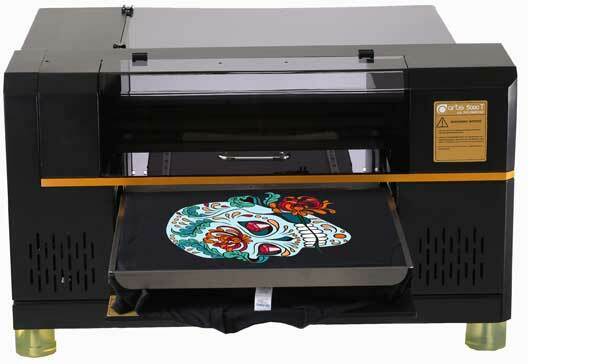 With 8 ink channels of CMYK+WWWW, it's good at white ink printing, and can directly print delicate pictures on all colors of t-shirts. The brotherjet new dtg white Rip software support the White and color inks outputs simultaneously in one pass.